Reggio Emilia, New Orleans Style! Children are full of wonder and curiosity about our world. Our curriculum is based on relationships, and centered on nourishing children’s minds and bodies through mutual respect and a spirit of discovery. The view of the child as capable is critical in our work. We create many opportunities for the children to express their ability to care for themselves, their environment, and each other during the course of the day. We discuss the wide range of feelings that we experience, and how we work through them. This dialogue begins in infancy. All of this effort helps in shaping the child’s view of himself, and his identity, as well as self-regulate when challenges arise. We begin to see friendships between children and their peers in infancy. Great trust also develops between the child and his/her teachers. Much attention is given to supporting these friendships, and shaping play as children learn to work together. We facilitate these interactions with specific words and responses to conflict. It is our belief that children communicate through media as they develop fluency with materials. In the first three years here, the children explore media in isolation: to understand paint, they work with a variety of paints (and materials, including food), and painting tools (brushes, daubers, sponges, cotton, race cars). To understand the concept of sticky, projects are dedicated to exploring glue, tape, glue sticks, and sticky paper. 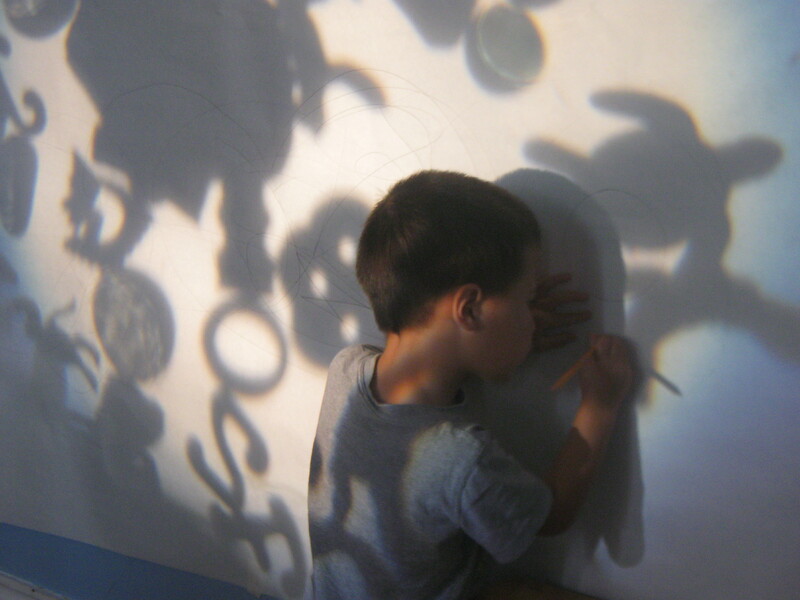 Our documentation of this work centers on the children’s process of exploring these materials. Children 24 months and older begin working with two dimensional media (clay, wire) to develop their ideas. As the children grow, we begin to see them growing in their capacity to graphically depict their ideas, and combine media to express their ideas. We archive examples of their work and descriptions of these processes in a portfolio that shows their acquisition of fluency in particular areas. The beauty and richness of language are explored with children of all ages. By engaging the children in conversation, song, and poems they learn about the diversity of our language and how to express their feelings and ideas. With our infants and one year olds, baby signs are integrated with spoken language as well. Before the child is verbal, we document their responses to materials and experiences. As children grow more verbal, we record their words and ideas, as well as facilitate the art of conversation, of speaking ones ideas, asking for help, and working through conflict. As children’s play and work with each other intensifies, we continue to discuss ourselves, our preferences, and how we manage our feelings. This allows us to live and work side-by-side with others. Children are encouraged to identify their feelings, and consider acceptable behaviors to help them self-regulate. Sensory materials are made accessible to children at all times, and they may choose to work through their feelings that way at any time. Other times, teachers guide them to use materials in a way that allows them to redirect their energies in an acceptable and creative manner. 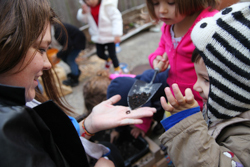 Our preschool engages in long term projects that come out of the context of the school environment and its participants. Examples of these projects include Daily Life, Environmental Projects (Centers), Project Themes, and Self-Managed Projects. Children and teachers collaborate to come up with projects, plan and re-evaluate them as they work. These projects are opportunities to continue exploring Materials as Language. The environment incorporates the acquisition of “school-readiness” skills through daily sign-in, the message center, picture dictionaries, story-writing, math manipulatives, and graphing. Our projects are multi-layered with writing, print awareness, pre-math skills, and the scientific method integrated into the meaningful context of our projects. Light is a material that we can bend. With project work as a driving force in the curriculum, the children learn to share ideas, listen to others, dialogue, develop plans together, compromise, and collaborate. Great guidance is given to developing friendships and navigating play together. Role playing, puppetry, and story telling are tools we use outside of play to shape children’s abilities to work through challenging situations together. The school and its contents are designed with and for the children. We impart this sense of responsibility relative to our possessions and space. Children are given jobs and also participate in a variety of helpful behaviors that help their school a happy place to be.